Let’s stay in Zechariah for the next two prophecies. Believe it or not, in this very next verse Zechariah is actually going to put a figure on the head of our Savior. 4. Zechariah 11:12 Then I said to them, “If it is agreeable to you, give me my wages; and if not, refrain.” So they weighed out for my wages thirty pieces of silver. Luke 22:3-5 Then Satan entered Judas, surnamed Iscariot, who was numbered among the twelve. So he went his way and conferred with the chief priests and captains, how he might betray Him to them. And they were glad, and agreed to give him money. Matthew 26:14 Then one of the twelve, called Judas Iscariot, went to the chief priests and said, “What are you willing to give me if I deliver Him to you?” And they counted out to him thirty pieces of silver. If you are still not convinced of what the money was exchanged for, please accept my premise for now. It was given to betray Jesus, and in the next chapter I will show you where it is crystal clear in the Scripture. We know the chief priests are doing the paying. 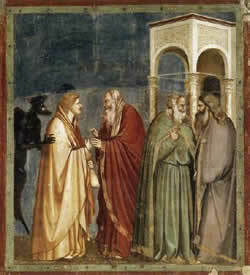 We also know that Judas is going to receive this money for betraying his master. Unfortunately for him, the devil was working overtime. Remember, do not trust in man. We are weak and will fail. We’ll always come up short on our own. It’s only through the blood of Jesus that we are saved. The night before Jesus was arrested He predicted that He would be betrayed by one of His closest friends and proteges. 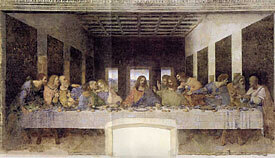 He declared this while the twelve disciples were having their last supper with Him. Could you imagine sitting in Judas’ seat and listening to his master tell him and the rest of the disciples the following? This was predicted by David over 1,000 years before it was fulfilled. Judas must have been sweating bullets at this point. But the devil of course, was dancing in delight. He thought that he was finally going to get his due. He would get his due of course, but it’s not quite what he expected. Unknowingly he had played out his cards exactly as our Father in heaven had predicted that he would. Satan would cause Judas to betray Jesus and sit back in delight, for his work was done. Meanwhile, he was clueless to the fact that within a few days, he would lose his lasting stranglehold on mankind. For Jesus was soon to pay the ultimate price for our souls by fulfilling the promise of our Father in heaven. The devil’s dance would be short-lived. This would be the greatest tragedy in the history of mankind, but yet at the same time, an exhilarating story of hope, forgiveness and salvation. Our Savior was sold out by one of His own, but He would forgive the sinners, pay for their transgressions, and then give His life willingly for the gift of salvation to all who will receive His grace. The very group that would soon crucify Him without mercy would be offered a chance for salvation by this very act. That in itself is beyond comprehension. In fact it humbles me to sheer insignificance every time I try to get my mind around it. I realize how totally inadequate that I truly am in the presence of His love for us. However that very love gives me the security of knowing that it is not up to me to make it to heaven, it is on the back of Jesus. We simply have to open our will to Him. Before we move on to the next prophecy, let’s take a little deeper look into one small detail regarding this prophecy from Zechariah 11:12. Did you happen to notice that Zechariah actually states quite clearly that there is a specified sum of money involved in this agreement? Let’s look at the last four words of the prophecy, and remember it was given 500 years prior to the actual event. Zechariah has clearly communicated what the actual price would be to sell out our King. It’s one thing to predict it, but how did history play out. Did it really happen as foretold? Again lets return to Matthew 26:14. Now, let’s think about that for a second. Again, God does not mince words or provide a fuzzy interpretation. He clearly states that the amount in the transaction is 30 pieces of silver. He does not say, “a years pay, or 10 years pay, or the price of a kingdom,” which could leave plenty of wiggle room for interpretation. Instead He boldly proclaims that His Son will be betrayed for 30 pieces of silver. Do you notice that he even specifies the mineral? Silver, not gold. Now let me ask you this. What value would you put on your son or daughter, if you had one? If you can’t relate because you don’t have children, then what price would you put on your mom or dad? I have four children and, even though there are days when things do not go well, I would not forsake them for any amount of money in the world. That was not the case for our Father and His perfect Son. 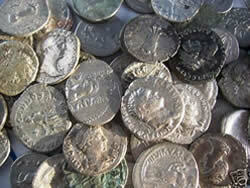 He specifically stated that His Son was going to be betrayed for 30 pieces of silver. Let’s take that incredibly detailed financial arrangement and put it into the full context. God is not telling us what the value of this arrangement is in Zechariah’s lifetime. He is actually telling us what the value would be 500 years into the future. Let me ask you to name a price that would make you comfortable enough to sell out the King of the world, but remember it has to be 500 years from now. Go ahead and take a stab at it. Would you include a 5% rate of inflation? Would it be in silver or gold, dollars or euros? Will any of those even be in existence in 500 years? What will be used to facilitate the flow of commerce? I personally can’t even imagine what we’ll be exchanging for goods and services in 500 years, and I certainly couldn’t offer a value of what human life would be worth in that time frame. Heaven help us when we need to move to a higher plane and consider what the value of life would be for God’s Son, incarnate in man. We simply couldn’t arrive at a figure. It is impossible. Yet God not only arrived at a figure; He was exact in His preciseness. Coincidence? Chance? I hope you are a rational, intelligent, logical human being. If so, by now you should be feeling a strong desire to study more of the Word of God. I know I am. So what odds do we put on the likelihood of this prophecy being fulfilled? Chuck Missler i.e. (p. 226) gave it a chance of one in 1,000, which like all the other prophecies we’ve discussed, vastly underestimates the odds. To put this in perspective, we would have to get 1,000 people together and ask them to predict the value of betraying the King of the world in 2,527 AD. They would have to first guess the type of currency (silver, gold, diamonds, dollars, euros or something new), and then the exact amount. How can you put a value on any life? I think that it would be impossible to make the prediction for the value of a life even in the current year, not to speak of 520 years into the future. So lets agree that 1 out of 1,000 is an incredibly conservative number. Since we are discussing the process for placing a value on life, I’d like to talk for a moment about how much our God values our life. This should be a shining example for us to live by. I know this is a dramatic diversion from the prophecy, however it is a subject that is very relevant and dear to me. As a society we are literally killing ourselves through abortion. Over 43 million babies have died since abortion became blessed by our courts. I can’t understand how anyone can say they are Christian and pro-choice. That is a contradiction in terms. However, allow me to make a point about the overwhelming love of our Lord and Savior, regarding the blight of abortion. If you know anyone who has had an abortion and feels that it is an unforgivable sin, then think again. Bring that person to the cross of our Savior, so they may become cleansed from all of their sins, just like the rest of us believers. Jesus our Lord, died on that cross to redeem us from all our sins. There is no sin too large for our Lord to carry. He died a gruesome death for every single sin that has ever been committed by mankind or ever will be committed. Even abortion! All we have to do is appropriate His justification, redemption, righteousness and salvation by repentance and faith. Don’t believe me? It doesn’t matter what you have done, His blood was pure enough to wash away every sin. 1 John 1:7 ...the blood of Jesus Christ His Son cleanses us from all sin. Remember, we all need forgiveness from our sins. We all need to come to the cross for our salvation. Don’t ever let anyone make you feel that they are worthy of redemption but you are not worthy. 1 John 1:8 But if we say that we have no sin, we deceive ourselves, and the truth is not in us. All that is required from you is to accept Jesus Christ into your heart through faith, repent of your sins, and you will begin to walk with God in thought, word and deed. It’s that simple. But once we do that, we need to truly come to God, which means turning from sin. That means planting yourself into a church, reading the Bible on a daily basis to grow in the Word of God, and surrounding yourself with the truth. This will help you to fight the deception of the world. The truth will set you free, but you must seek it on a daily basis. If we say we have received Jesus into our heart, but don’t repent and change our ways, then we are still a liar and are still on our own. 1 John 1:6 If we say that we have fellowship with Him, and walk in the darkness, we lie and do not practice the truth. God wants to save us all through the sacrifice of His Son. Why else would he have made such an offering? So there you have it in a nutshell. The path to salvation and eternal life. It is free and it is for everyone. But it is not something to take lightly. It requires you to ask for the Holy Spirit to fill you and to guide you during your times of temptation. You must be willing to turn from the darkness and submit yourself to our heavenly Father.